Every time I cross Sydney Harbour by train heading to the North Shore I look for the Aboriginal flag that flies from the top of the Jesuits' St Aloysius' College at Milsons Point. 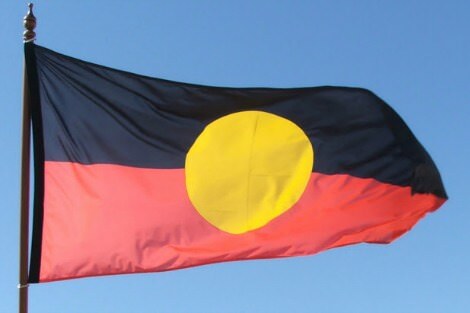 It was first raised on 25 January 1988, on the eve of the Australian Bicentenary, to mark the final day, 200 years previously, that Aboriginal people had complete freedom to their lands and customs before the arrival of the First Fleet. I will never forget the look on her face. I had asked her a simple question. But I had used her language. She seemed shocked that a white person would even try. Indigenous languages offer rich ways to describe and name our world, and valuable insights and knowledge for all Australians. I have just returned from visiting friends in remote Aboriginal communities. It was a sad trip. A large number of young people have died in recent years, some close friends. They represent the trifecta of young peoples' deaths: car accidents, suicides and chronic disease. Australia Day remindes us of stories of separation within our country, such as the stories of the Stolen Generations. Separation from a parent is something Prince William understands. 'Did your mummy die?' a six-year old asked him during his visit last week. Young people ideally move into adulthood with pride and a sense of generational history. Identity is not just about becoming an individual, but knowing, valuing and embodying one's ancestral past. But moving forwards while looking backwards can be risky. Australia Day comes this year shortly after Obama's entry into the White House. Like the child in Australia — a film that captures something of the mixed history of our Australian footprint — Obama embodies the possibility of healing across racial and other divides. Media exposure of some students' controversial end-of-school celebrations revealed a cultural deficit. Aboriginal men experience rituals that support their transition from boyhood into adulthood. Rituals in Western society are less clear.